Life with Baby Fix-It is easy. Even when I am stressed out, frazzled, and breaking into a sweat because I'm trying to juggle one too many things at once I know that our life is easy. We go for walks. Baby Fix-It (momentary pause -- I think it's officially time to upgrade him to "Little Fix-It") points which way to go. We wander and find adventure. We go to the park and he plays happily. He lets me know when he's had his fill by trying to climb in the stroller. There's no schedule. We go with the flow. Shopping trips are a breeze. He happily sits in the cart or helps me get things off shelves. He is generally a cooperative and just plain awesome kid. Of course there are meltdowns. And of course there are times when things don't go his way. But overall? I know I am truly lucky. 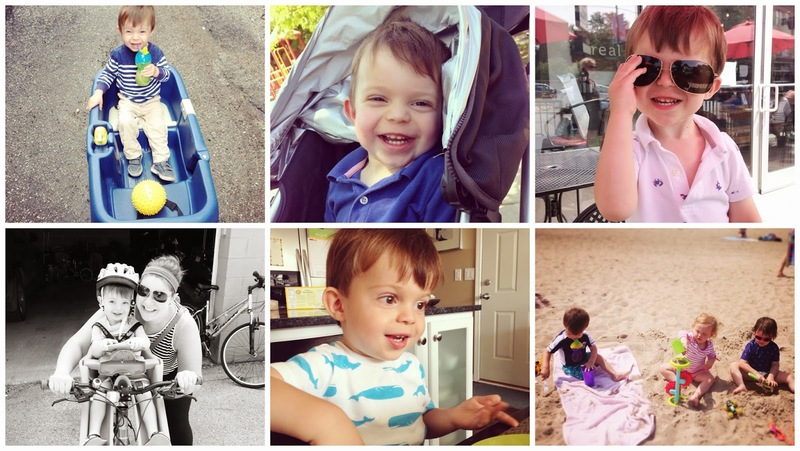 When we started down the road of fertility treatments last fall I kept coming back to the same thought over and over: Life will never be this easy again. It makes me want to pause. Bottle time. Find a way to be as present as possible. The thought that life will never be this easy gives me both an amazing sense of peace and a jolt of anxiety. A big, crazy, busy household has always been my dream. Little Fix-It is meant to be a big brother. Bring on the chaos, right? I can't wait. But, wow, this is going to be nuts. Is there anything you have always instinctively known about your life? I have always felt a connection to twins. I have just always known. When I was little I loved pretending my dolls were twins. Naming them was always the best part. In 5th grade I wrote a paper on the science of twins. That Christmas I asked for books (for very important research purposes, of course) on multiples and as a result I have a handful of books circa 1992 on the bookshelf outside my childhood bedroom on the topic. By senior year of high school I did a photography project on siblings with a special interest on twins. Friends of mine, who are identical twins, introduced me to other twins. I was so fascinated interviewing them. 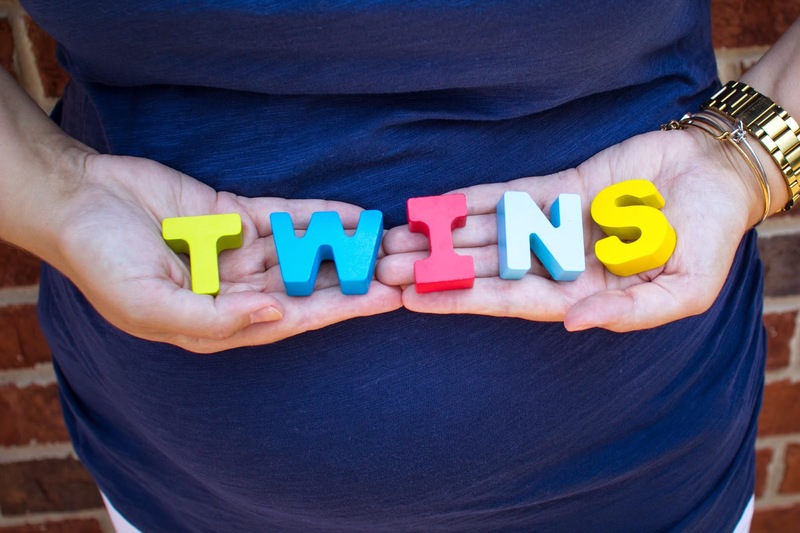 By college I declared that I was a twin (unlikely, but being adopted I always had that teensy wonder), I was going to marry a twin, or I was going to have twins of my own. I just knew it. So, when I met Mr. Fix-It I was only moderately disappointed to discover he did not have a twin brother. But, he had twin cousins. I took it as a good sign even though paternity has literally nothing to do with multiples. And then we got married. Wished to start a family. And learned of our fertility challenges. On some level I accepted our course very readily knowing a puzzle piece had fallen into place: this was how I was going to have twins. It all made sense. No one wishes to have to travel down the path of IVF. But I felt comfort in the universe telling me I was on the right track. 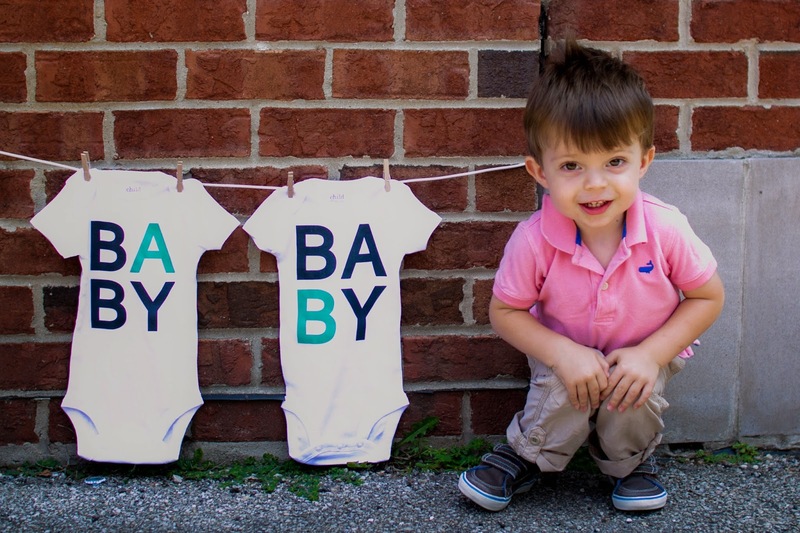 Now that we have shared the news of our twins with the world, the first question is, "Were you shocked?!" Nope. Not in the least. I always knew. So that IVF cycle in May? It went really, really well.